Are you looking for a retail or office space that meets your unique business requirements? Sure, there may be an existing structure out there that works for you, but finding one that is readily available, relatively new, and within your budget is going to be tough. You can always build a brand new structure from the ground up, but that takes a lot of time and is not inexpensive. The best solution may be somewhere in between. Below are five advantages to going with a pre-engineered steel building. Pre-engineered steel buildings can be customized to meet a variety of needs. As a business owner, you are free to configure your new building to a layout that works for you. Should you choose to expand your business later on, you have the flexibility to alter the interior layout of the unit as you see fit. Pre-engineered buildings are extremely cost-effective to build and maintain. Because the components all arrive at the site in easy-to-install parts, you will save on construction team labor costs and begin your business operations much sooner than you would with conventional construction. As mentioned above, the construction of pre-engineered steel buildings is much faster than constructing a building from the ground up. In fact, experts say that the construction cycle of a pre-engineered structure is likely to be weeks, sometimes even months, shorter than standard construction cycles. Steel buildings are notoriously strong and durable. They are resistant to the harshest weather conditions, able to withstand strong winds, powerful storms, and heavy snowfall. They can also stand up against fire, mold, and termites, requiring very little commercial maintenance over their lifetime. Metal roofs, in particular, are proven to last over 30 years with minimal maintenance. Compared to other structures, pre-engineered steel buildings are typically more energy efficient. They come with insulated interior walls, doors, and windows to provide a tight seal that works to keep heating and cooling costs low. Additionally, steel is 100% recyclable, so these structures are environmentally-friendly as well. 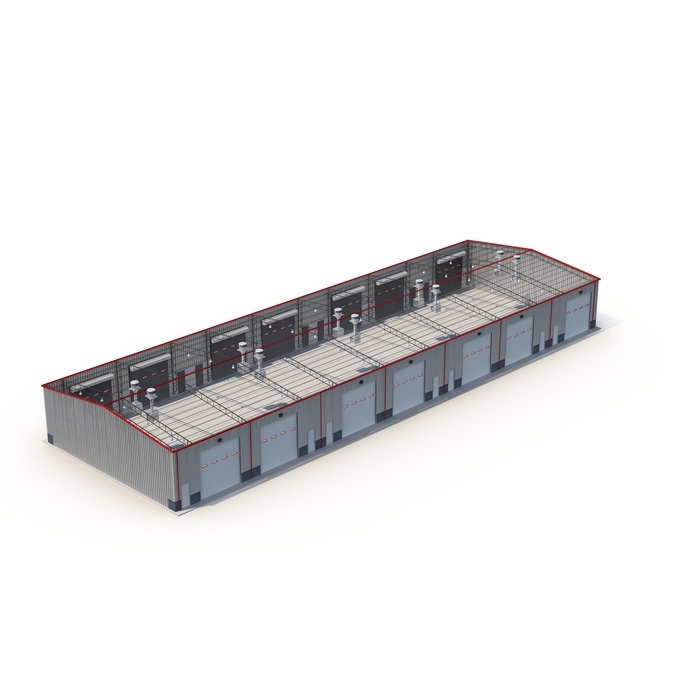 Pre-engineered steel buildings are a wise investment for virtually any type of business, particularly if you are looking to expand in the future. When you need a retail or office space that is cost-effective, long-lasting, and quick to build, consider this kind of structure.